If you are looking at how to reach and convert new customers in the age of overcrowded online marketing, here are five reasons why it might be worth using a company brochure again. As online marketing increases so does the price. Today, business websites need continuous search engine optimization online ad campaigns in order to compete in search engine results. It’s not enough to post on social media a couple of times a week, it needs to be everyday in order to compete for an audience which is getting bombarded more and more with online messages. However, creating a company brochure is getting cheaper. Advances in digital printing and a shrinking design and print market has pushed down the price. With less printed brochures around, it is no longer necessary to stand out with something large and expensive. A simple trifold brochure introducing your business is usually enough to drive leads to your website or encourage them to call or email. Most of us spend the work day sorting through tons of emails and online requests. We have become very good at recognizing and skipping over marketing emails and online ads. Today’s email box has become over-run with digital junk mail. However, with shrinking amounts of physical mail coming into customer’s postal mailbox, when something interesting lands on their desk, it always gets their attention. People are becoming more suspicious of online businesses – especially when it comes to services. With the increasing amount of online scams, winning over trust has become a real barrier to getting a sale. Brochures are a great way to bridge this gap in trust with potential customers. As soon as a customer has something physical in their hands their perceptions of your business changes. They see you as a real business, in a real location with real people there to help them. Presenting true color on screen is difficult due to individual screen color settings, screen quality and size. Printed brochures on the other hand, allow you to control these variables and show your products to customers the way you want. Brochures can be effective in both online and offline channels. Any printed brochure can easily be converted for viewing online – either as a downloadable PDF or landing page that can be printed and taken to show a decision maker. Are You Ready To Put Brochures Back Into Your Marketing Efforts? The next time you total up the rising costs of online marketing just to stay even with the competition, perhaps it’s worth thinking about print marketing to give your company that competitive edge. 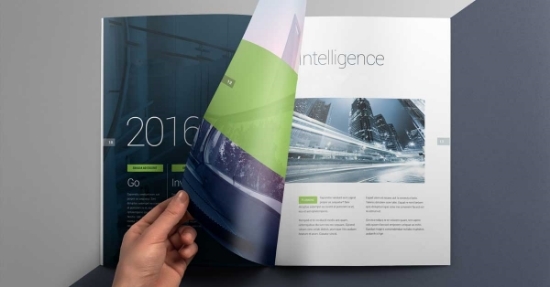 Omega Printing can help with cost-effective brochure design and printing. We can even mail it for you. Give us a call today or simply request an estimate by clicking here.